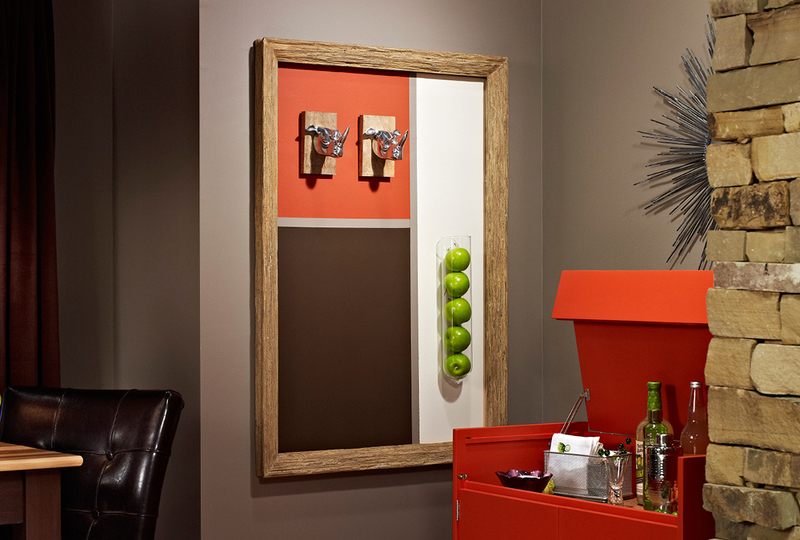 A wall with bold accents can help add character to any room. And instead of framing photos or canvas art, we created painted art right on the wall. In this week's eNote, we show you step-by-step how we put together all three parts of this graphic wall art. First, find a large wood frame, and use painter's tape to create a border on the wall the size of the frame. Then, create a pattern within the border, and paint each section different but coordinating colors. Finally, hang the frame and add some unique wall decor. This is an easy way to fill up an empty wall and to create a focal point in a room. You can customize it to use any colors that fit your style and decor.